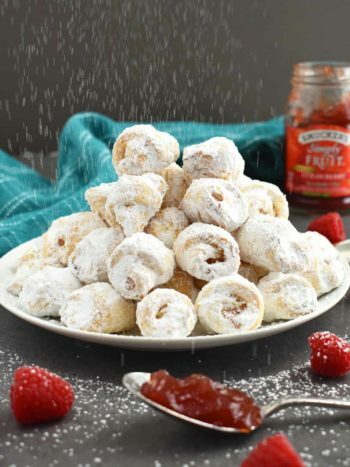 Farmer’s Cheese Sweet Rolls: fluffy, light as a feather, melt-in-your-mouth dessert, filled with homemade farmer’s cheese. 1. In a small bowl or a measuring cup, add and microwave if needed 1/3 cup water (must be very warm, but not hot). Sprinkle in 1/4 tsp sugar and 2 1/4 tsp active dry yeast; stir gently to combine. Cover with paper towel and set aside to rest until foamy, about 10 minutes. 2. In a medium bowl, combine 5 tbsps unsalted room temp butter, 6 tbsps sugar and 1 tsp salt. Stir and press down together with spatula. Microwave 1 1/3 cup milk (30-40 seconds), whisk in 1 large egg into the milk. Then, add the milk mixture and the yeast mixture to the bowl with butter and whisk everything together to combine. You’ll have lots little butter lumps – don’t worry about it, bread machine will do its magic! 3. In a bread machine bowl, place 4 cups all-purpose flour. Pour the liquid mixture over the flour. Set machine cycle to dough. My machine takes 2 hrs and 20 mins to mix and rise. 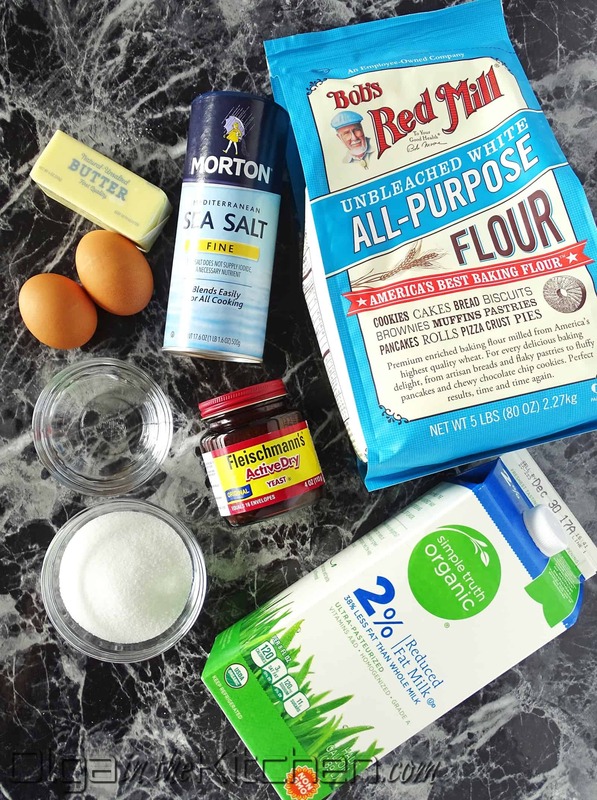 (Check if dough needs more flour when it starts mixing – usually I add 1/4 cup, maximum 1/2 cup). IF YOU DON’T HAVE BREAD MACHINE: Complete step 2 above and gradually add in flour, mixing well after each addition; use your hands to fully knead the dough. Transfer dough to a large greased bowl, cover with clean kitchen cloth and place in a warm, draft-free area for about 2 hours until the dough is doubled in size. 4. 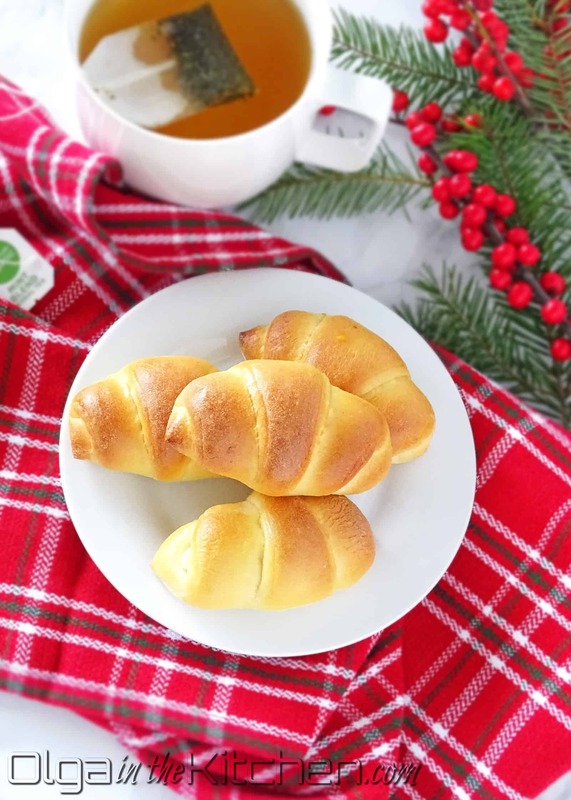 MAKE CHEESE FILLING, WHILE DOUGH RISING: In a large bowl, combine 3 cups farmer’s cheese, 2 oz cream cheese, 2 tbsps cool whip, 6 tbsps sugar, 1/2 tsp vanilla extract and a pinch of salt. Mix well with hands to fully combine all the flavors. 5. Lightly grease 4 baking sheets and set aside. Transfer the dough from a bread machine onto a floured surface. Punch dough down to release air bubbles. Divide dough into 4 similar-to-equal balls. Work with 1 piece at a time. 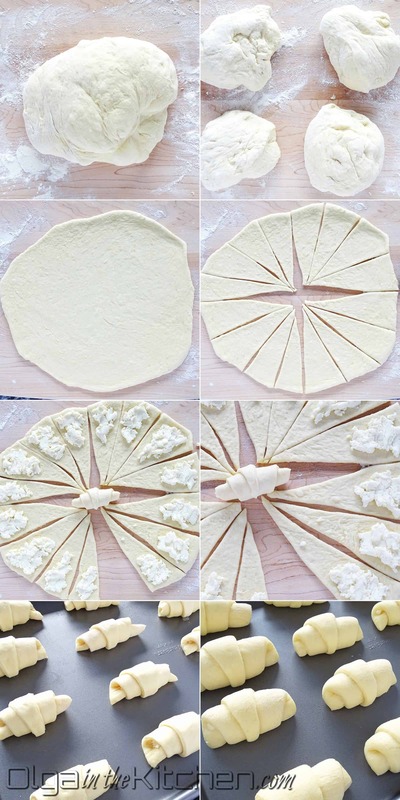 Roll first dough ball into a 13-14” circle (like you’d do for pizza). Slice the dough with a pizza cutter into 16 similar-to-equal wedges. Spoon farmer’s cheese filling onto the wider end of each wedge and lightly press down. Roll each wedge up starting at the wider end. Place rolls onto a greased baking sheet 1” apart, pointed tip tucked under. Repeat for the 3 remaining dough balls, using 1 baking sheet for 1 dough ball (16 rolls per baking sheet). Cover rolls with clean kitchen cloths and place in a warm, draft-free area until rolls are doubled in size for about 1 hour. 6. Preheat oven to 375°F. In a small bowl, whisk 1 large egg with a fork and set aside along with a brush. 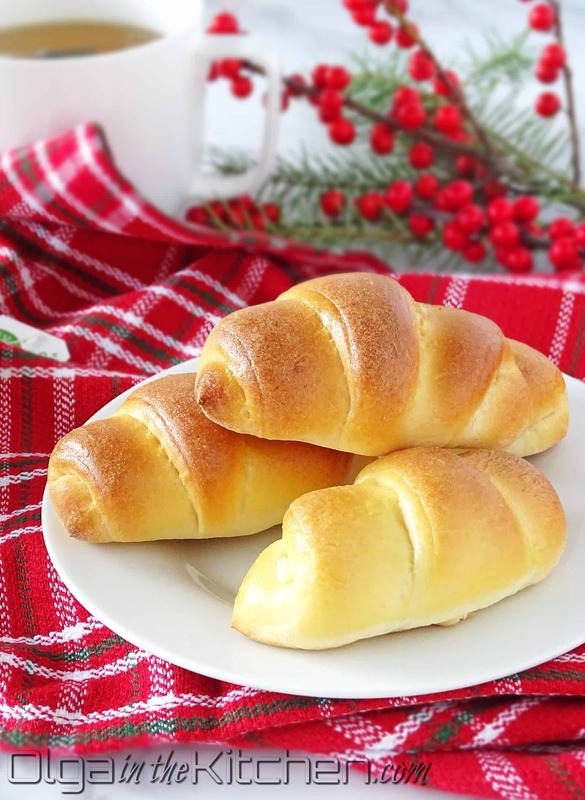 Bake 1 baking sheet of rolls at a time for 10-11 mins, until rolls are dark golden on top. As soon as the rolls are finished baking, lightly brush egg wash on rolls while they are still hot in order for the egg wash to dry. (In this recipe, I don’t apply egg wash before the oven so they don’t over-brown). Enjoy while still hot and fresh. Cover with plastic food wrap to keep them light as feather the next day as well! Enjoy!!! 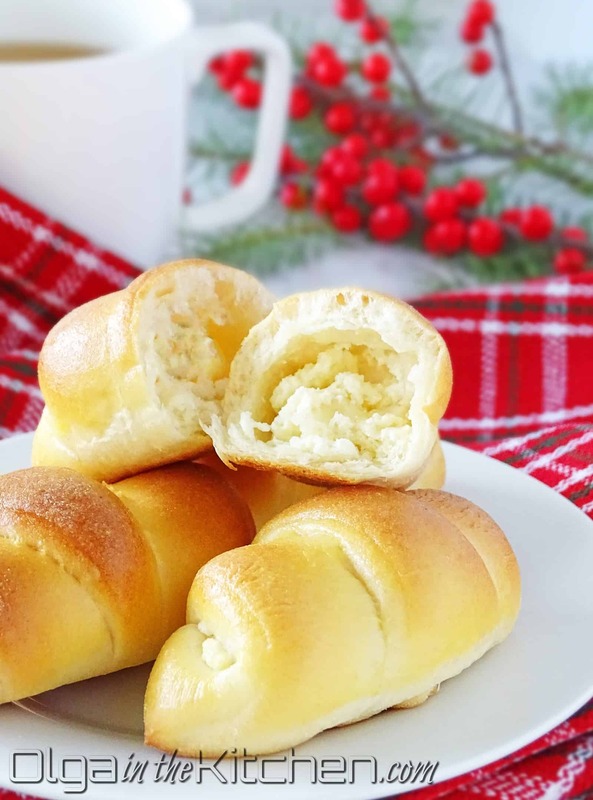 Farmer's Cheese Sweet Rolls: fluffy, light as a feather, melt-in-your-mouth dessert. In a small bowl or a measuring cup, add and microwave if needed 1/3 cup water (must be very warm, but not hot). Sprinkle in 1/4 tsp sugar and 2 1/4 tsp active dry yeast; stir gently to combine. Cover with paper towel and set aside to rest until foamy, about 10 minutes. In a medium bowl, combine 5 tbsps unsalted room temp butter, 6 tbsps sugar and 1 tsp salt. Stir and press down together with spatula. Microwave 1 1/3 cup milk (30-40 seconds), whisk in 1 large egg into the milk. Then, add the milk mixture and the yeast mixture to the bowl with butter and whisk everything together to combine. You’ll have lots little butter lumps – don’t worry about it, bread machine will do its magic! In a bread machine bowl, place 4 cups all-purpose flour. Pour the liquid mixture over the flour. Set machine cycle to dough. My machine takes 2 hrs and 20 mins to mix and rise. 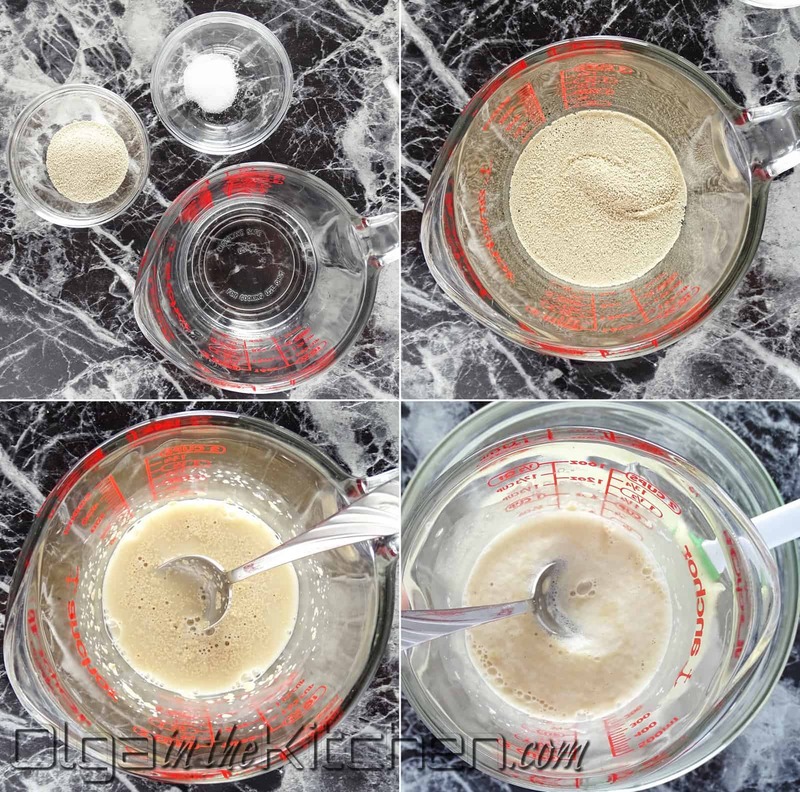 (Check if dough needs more flour when it starts mixing – usually I add 1/4 cup, maximum 1/2 cup). 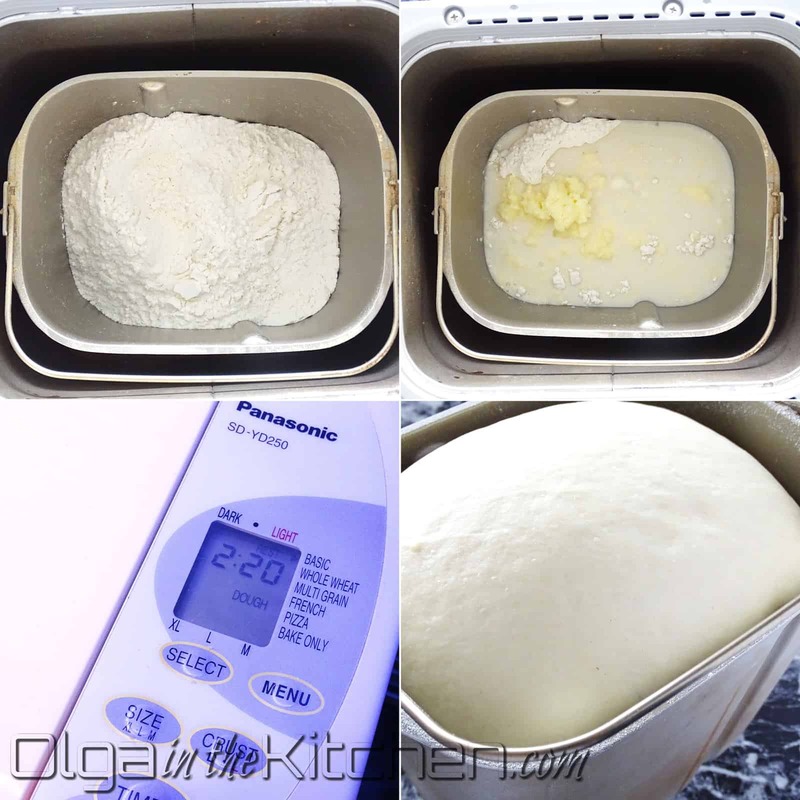 <B>IF YOU DON’T HAVE BREAD MACHINE: Complete step 2 above and gradually add in flour, mixing well after each addition; use your hands to fully knead the dough. Transfer dough to a large greased bowl, cover with clean kitchen cloth and place in a warm, draft-free area for about 2 hours until the dough is doubled in size. 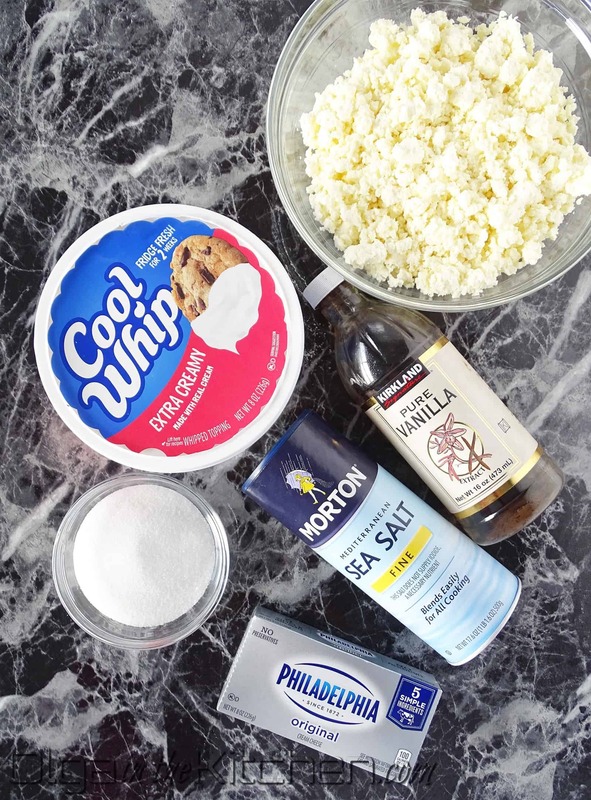 MAKE CHEESE FILLING, WHILE DOUGH RISING: In a large bowl, combine 3 cups farmer’s cheese, 2 oz cream cheese, 2 tbsps cool whip, 6 tbsps sugar, 1/2 tsp vanilla extract and a pinch of salt. Mix well with hands to fully combine all the flavors. Lightly grease 4 baking sheets and set aside. Transfer the dough from a bread machine onto a floured surface. Punch dough down to release air bubbles. Divide dough into 4 similar-to-equal balls. Work with 1 piece at a time. Roll first dough ball into a 13-14” circle (like you’d do for pizza). Slice the dough with a pizza cutter into 16 similar-to-equal wedges. Spoon farmer’s cheese filling onto the wider end of each wedge and lightly press down. Roll each wedge up starting at the wider end. 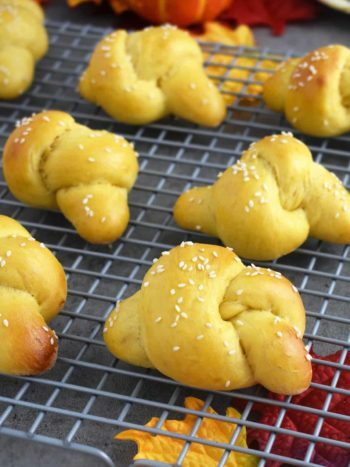 Place rolls onto a greased baking sheet 1” apart, pointed tip tucked under. Repeat for the 3 remaining dough balls, using 1 baking sheet for 1 dough ball (16 rolls per baking sheet). Cover rolls with clean kitchen cloths and place in a warm, draft-free area until rolls are doubled in size for about 1 hour. Preheat oven to 375°F. 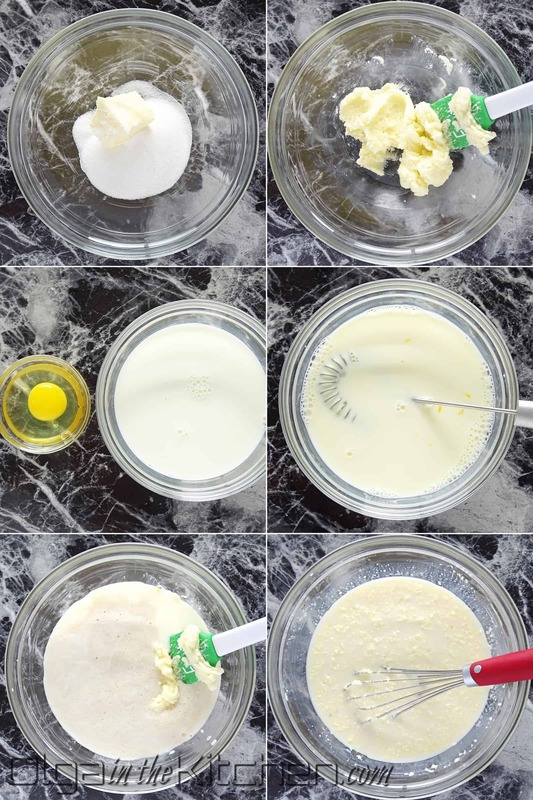 In a small bowl, whisk 1 large egg with a fork and set aside along with a brush. 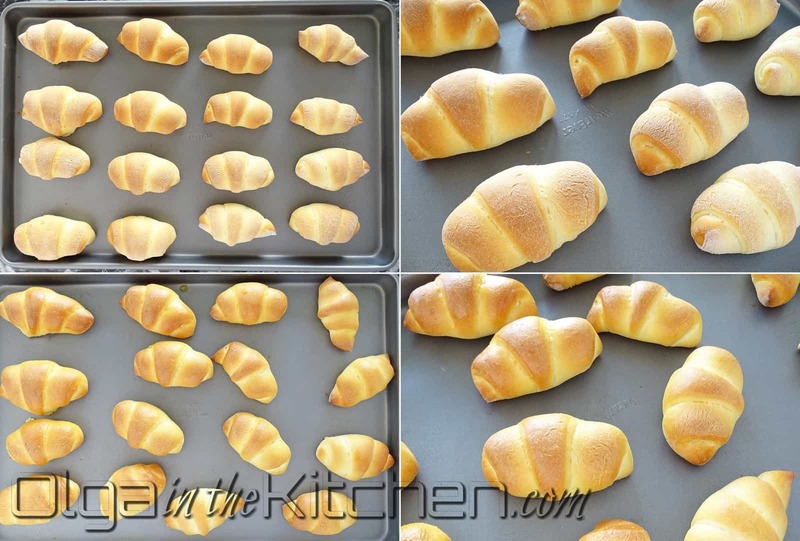 Bake 1 baking sheet of rolls at a time for 10-11 mins, until rolls are dark golden on top. As soon as the rolls are finished baking, lightly brush egg wash on rolls while they are still hot in order for the egg wash to dry. (In this recipe, I don’t apply egg wash before the oven so they don’t over-brown). 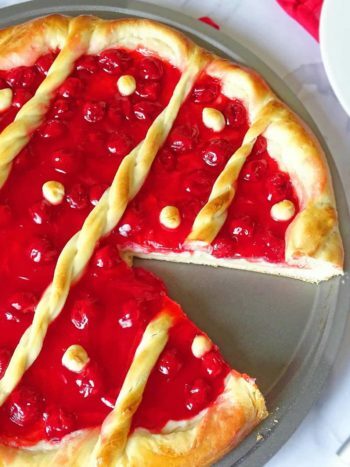 Enjoy while still hot and fresh. Cover with plastic food wrap to keep them light as feather the next day as well! Enjoy!!! Dough recipe was adapted from DivasCanCook. These turned out DELICIOUS!!! Will be my go to recipes for sweet buns:) Thanks for the recipe! Thanks Anna! ? This is my favorite lately too? 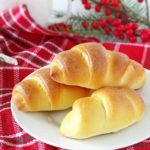 In the past I used a different (childhood) recipe for sweet rolls but now this one is a winner! These are magnificent! Fluffy, light and the cheesy filling are incredible. Saving this recipe. Thanks Edie, these are indeed magnificent!